We know how exciting and special it is to plan your daughter's Quinceanera. That's why we make sure your purchase is as easy and carefree as can be. You can also expect exclusive designs, high quality card stock, fast shipping, and outstanding customer service. 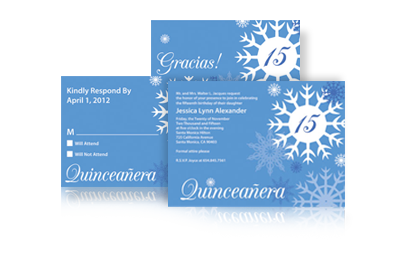 When you shop with us, your Quinceanera invitations and party supplies will be perfect - guaranteed! so you get it FAST! Choose your favorite invites, RSVP cards, thank you cards, party favors and more to create a truly impressive Quinceanera stationery package. 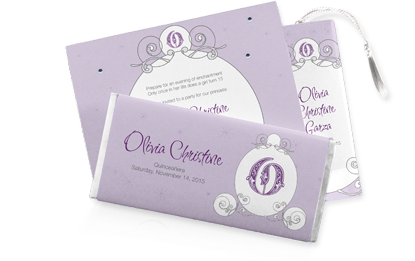 Browse our new and popular Quinceanera invitations! 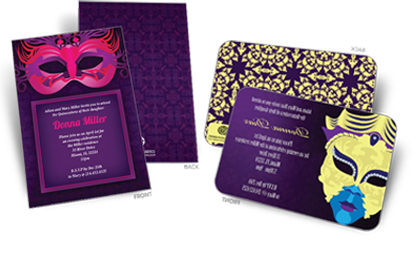 Including Quinceanera themes such as Masquerade, Butterfly, Mardi Gras, Zebra, Stars, and more. Coordinate your favorite invites with the perfect party favors and unique keepsakes - personalized candy wrappers and bookmarks. Shop in style! 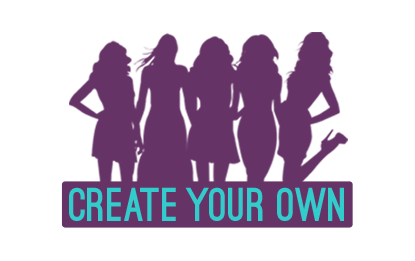 Love one of our exclusive designs, but want to make a small change? We're happy to create a custom invitation for your Sweet 15 or Sweet 16 birthday party. Join our mailing list for exclusive party planning tips!